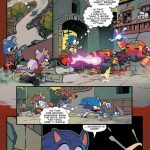 The month of comics concludes with the debut of a brand new character! 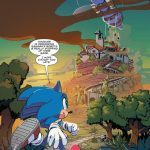 With April’s rapid release of IDW’s new Sonic comic series reaching the last of its four issues, the preview has finally been released for Sonic the Hedgehog #4. 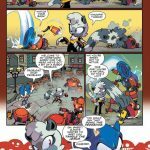 In this issue, Sonic comes across the biggest pack of Badniks he’s seen so far! If he wants to beat this lot back, he’ll need more than his own pair of hands. 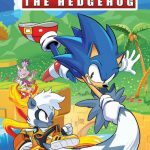 Luckily he has Blaze on his side with her fiery hands, and there’s new hero Tangle the Lemur who can make her tail act like a hand as well! What will the mystery behind the attacks make of this team-up? 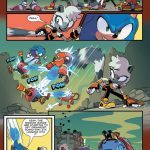 This is the final part of the comic’s first arc, “Fallout”. 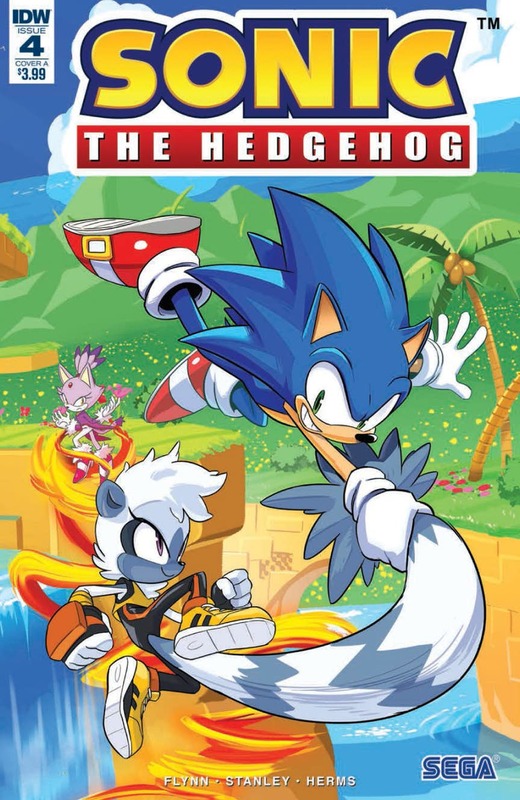 Sonic the Hedgehog #4 is due out on 25/04/18, so make sure you swing by to pick up a copy. 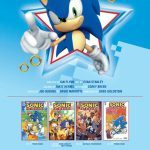 While this marks the last of the April issues, remember that the comic is coming out an issue per month from here on, so there will still be plenty of comic goodness in the future! I love how they actually made the giant badniks from Sonic Generations canon, I feel like they got underused in that game. 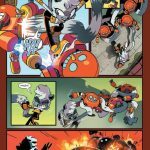 Also am I the only one reading Tangle’s lines with Tracer’s voice in mind? Just kinda fits because of the general personality not to mention all the pre-hype they both got. So that’s where that awkward Sonic sneer came from…I’m surprised that hasn’t become a Twitter meme yet.